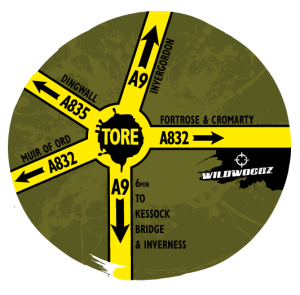 Laser tag is very popular with kids aged 6 and up and you’ll be able to book them in on as many sessions as you like during the day at Woodzstock at a great price ( subject to availability). The experienced 5 stars rated Wildwoodz instructors will take them out to one of the many playing zones at the venue to keep them occupied and wear them out running around the woods shooting at their friends and other like-minded kids and parents. Yes – you can play too as long as you promise not to get too upset when they beat you! Book at the activities/information tent upon arrival. Session length is 1 hour and costs £7.50 per person. Bushcraft is the skill of surviving out in the wild. How to light a fire, build a shelter – the sort of thing that kids absolutely love. 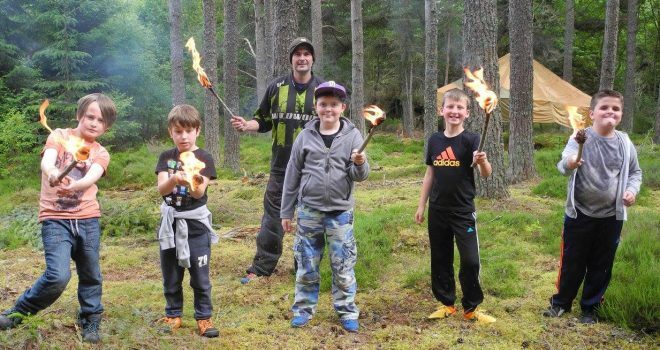 At Woodzstock our Wildwoodz instructors will entertain your family whilst teaching some essential life skills Bear Grills style. Book a the Activities / Admin tent upon arrival. Kids craft will include making your own Red Indian headdress – sticking, glueing and colouring. £3.50 per child.